Please vote or if you can not find the item you want to vote for, write about it below! Please in register account form, add Looking for field as well. And Selecting gender should be blank, right now its Women by default and lots of users do not even bother to change even if they are male. So registration form needs little improvements! 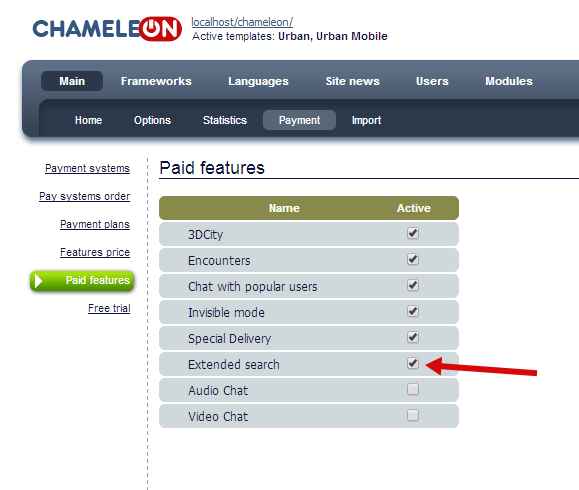 Yes we have optimized Chameleon Dating Software a lot, and continue optimizing a bit every version. It is an endless process. So seems one can not add more items. Please vote again if you can. I have chosen mine but I like all to be honest, I want to see more features in Urban dating theme. I would be over the moon happy with some detailed documentation of each option and capability. Preferably written by an English native. You have made an awesome collection of features and a few ok templates. But, without docs, we can't get the full power out of it, imho. I'm a RTFM person and I think you have spent most of your time on building a great system but very little on making it end user (and I mean us admins as your end users) friendly.